KAREN COLE SOVAK is a native of Schenectady, New York, and comes from a family of musicians – instrumentalists, choral, band and orchestral conductors, school music teachers and church organists. She majored in Music Education at SUNY Potsdam and pursued further musical studies with the Rascher Saxophone Ensembles, the Hank Levy Lab Band, Octo Cantabile, and others. Karen also indulged her love of the visual arts, with classes at SUNY Albany and at the Corcoran Art School in Washington, D.C. where she began her career teaching young children at the Rudolf Steiner School in Falls Church, VA. Beginning in 1988, The Children’s Discovery Center in Winsted, CT became the happy recipient of Karen’s considerable creative, teaching, and organizational talents. As Head Teacher and Director, she expanded this arts and language-based program for pre-school children, winning National Accreditation for the school’s innovative, experiential curriculum. Karen has been singing with Gaudeamus since the ensemble’s founding in 1991 and worked with Paul Halley at his recording and music publishing company Pelagos, as General Manager from 1998- 2003. She was the Executive Director of Joyful Noise from 2003-2006. 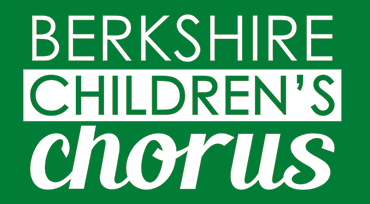 Karen continues as Director of the Chorus Angelicus Training and Advanced Training Choirs with Artistic Director, Dr. Gabriel Lövfall, as well as the Berkshire Children’s Chorus Junior Choir Director, with Artistic Director, Julie Bickford. Her passion is helping young people explore and rejoice in their emerging musical potential.